What do we see? We start at Doi Inthanon, one of the original 14 national parks of Thailand covering many climatic and ecological zones. As we make our way up, we stop on the way at a local market and beautiful cultural sites. Then we tackle the steepest part of the mountain and climb into the clouds until we reach the roof of Thailand and the summit of Inthanon. What is the riding like? We ride approximately 30 km on the way up and can roll down 18 km on good quality tarmac roads to Wachirathan Waterfall. A support vehicle follows if you tire and need a lift to the top. Of course, water, soft drinks and snacks are all included as well as lunch by the reservoir and SpiceRoads supplies a TREK mountain bike and helmet. You can choose to use a mountain or a road bike for this tour, please let us know at the time of booking your preference. Children 12 and up can join this trip only if they have a very high level of fitness and are skilled cyclists. 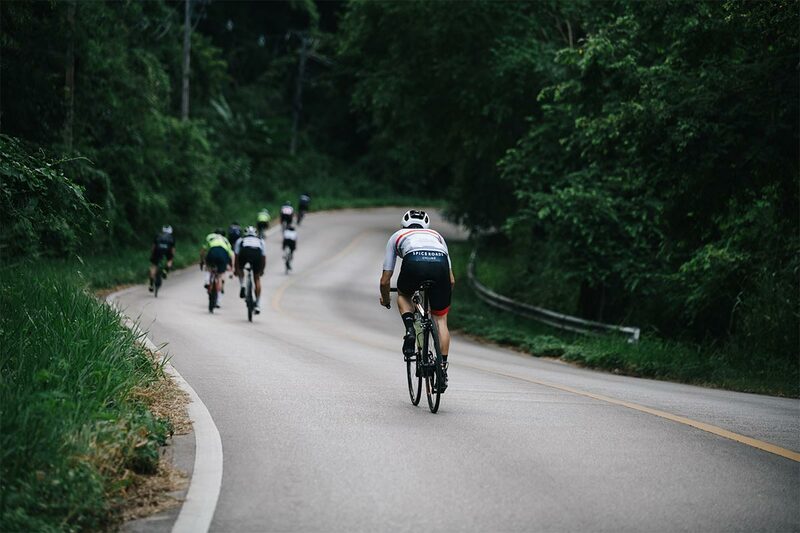 Nice cycling challenge in Thailand! Excellent guidance and lots of food and drinks. Very professional support crew for the ride up Doi Inthanon. Rental bike was in good shape with the right gear set up for the monster climb. Whole trip went smoothly without a hitch. We ride approximately 30 km on the way up and for super strong riders we can add on 10 kms and 900m. We start our downhill from the second checkpoint and coast for 18 kms. There’ll be plenty of opportunities for taking photos and just taking in the wonderful scenery. A support vehicle follows if you tire and need a lift to the top. You choose if you prefer a mountain or road bike for this tour, depending on your comfort level.